NOTES: Blocker came carded by himself and in a 2-pack with Maverick. As with all the Battleforce 2000, the two-pack is probably worth about the same as the two single carded figures together. 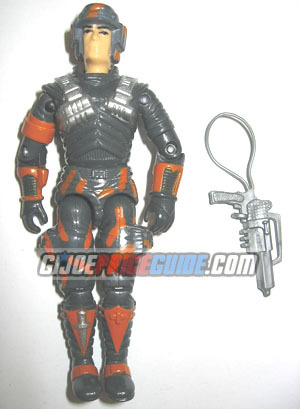 This is the only version of Blocker, as I believe the whole Battleforce 2000 set was killed off in the comics. The whole set was kinda boring with generic names and similar structure. Although he did not come with the Eliminator, he is listed as the driver on his filecard. Some Blockers came with a clear visor.